The 6th senate district is home to many of Chicago’s most popular attractions. It’s also home to more than 200,000 diverse residents. The diversity in cultures and ethnicities are largely responsible for the bond created throughout the progressive communities that make up the district. From high-rise skyscrapers to modest single-family homes, the district is a perfect example of what makes Chicago unique. There is definitely something for everyone in the district. The Lakeview neighborhood boasts the densest population in the Midwest. It's also an area famous for its many attractions, such as the Wrigleyville area. Actually, Wrigleyville is so popular that some consider it a neighborhood on its own. This area is home to Wrigley Field and the Chicago Cubs, but maintains a neighborhood setting and friendly atmosphere, making it an excellent location to enjoy a family outing. Lakeview is similar to the other neighborhoods throughout the district but is well known for its world-class shopping and dining venues. Walking throughout the neighborhood, visitors will find storefronts that boast restaurants and boutique shops. Although larger stores help anchor smaller businesses, there is no shortage of growth and redevelopment in the area. Here, you can find all sizes, menus and prices throughout the beautifully maintained tree lined streets along with rows of houses of all different architectural types. Lincoln Park has a similar feel in terms of boutique shops and restaurants, but is also host to some of Chicago’s most famous statues - including a prominent pose of General Grant. The area is also home to a great many book stores and coffee shops. These are usually busy, being frequented by students living in the area attending DePaul University. The university is extremely popular and offers a variety of coursework in both undergraduate and graduate/law fields of study. It is the largest Roman Catholic University and one of the ten largest private schools in the United States; the largest in Illinois. Within the 6th district, you’ll also find the famous Lincoln Park Zoo, which was founded in 1868 when a pair of swans were given to the Lincoln Park Commissioners. The zoo has grown in tremendous popularity and size since then, now housing nearly 1,250 animals from monkeys to polar bears and penguins to gorillas. The zoo, run by the Chicago Park District, regularly has events for families and children. In fact, the Park District provides a number of parks and recreational activities for all families; the Lincoln Park Conservatory, an outdoor theater, a rowing canal, the Chicago History Museum, The Peggy Notebaert Nature Museum, ponds, North Avenue Beach and playing fields. 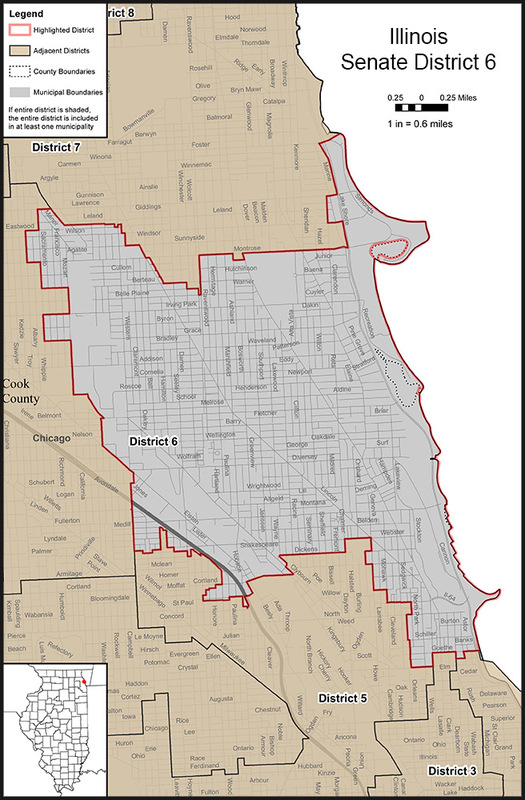 Residents throughout the 6th district take great pride in our neighborhoods and communities. We’ve worked to grow and progress, while also keeping the history of the city of Chicago alive. If you’re in Chicago, take some time to visit our area – everyone is welcome.